The Phils win in extra-innings on Hunter Pence’s two-run home run as they defeat the Cards, 4-3. The Phils increased their winning streak to three games thanks to Hunter Pence’s two-run shot in the top of the tenth inning as they defeat the Cards, 4-3. The Phils took the lead in the second as, with two men on, and with two men out, Jimmy Rollins hits an RBI single, scoring Placido Polanco, who had earlier singled, then stopped at second base on Freddy Galvis’ single, giving the Phils a 1-0 lead, while sending Galvis, who had earlier singled, over to third base. The Phils then added to their lead as Galvis scores on first baseman Matt Adams’ fielding error of Juan Pierre’s grounder, giving the Phils a 2-0 lead, while sending Rollins up to second base as Pierre was safe at first. The Cards got a run back in their half of the second as, with a runner on second, and with two men out, Shane Robinson hits an RBI double, knocking in Adams, who had just doubled, cutting the Phils’ lead down to 2-1. The Cards then tied the game up at two-all in the third as Rafael Furcal hits a lead-off home run, his third home run of the season, after the play was first reviewed by the umpires and upheld. The Cards then took the lead in the fourth as, with a runner on third, and with nobody out, Yadier Molina hits an RBI single, knocking in David Freese, who had started the inning off with a triple, on a ball that Shane Victorino had lost sight of in the twilight sky, giving the Cards a 3-2 lead. The Phils would tie the game up at three-all in the seventh as, with one man on, and with one man out, Pierre hits an RBI double, scoring Cliff Lee, who had started the inning off with a single. The Cards tried to retake the lead in the eighth as, with one man on, and with two men out, Molina, who had just singled, tried to score on Adams’ double to center field, but is thrown out at the plate on a strong throw by Victorino to Galvis, who then threw the ball to Ruiz, who then applied the tag for an 8-6-2 third out of the inning. The Phils would take the lead in the tenth as, with one man on, and with nobody out, Hunter Pence hits a two-run home run, his eleventh home run of the season, knocking in Pierre, who had started the inning off with a single, giving the Phils a 5-3 lead. That would end up being the final score as Jonathan Papelbon recorded his fourteenth save of the season as he threw a 1-2-3 tenth inning. Cliff Lee received a no-decision as he threw seven strong innings, giving up three runs on eight hits and three walks, while he struck out seven. Jose Contreras and Jake Diekman combined for a scoreless inning, giving up two hits (one hit each) between them, while striking out a batter (Contreras). Raul Valdes (2-0, 0.00) got the win as he pitched a scoreless inning, giving up a hit and a walk, while striking out two. Jonathan Papelbon recorded his fourteenth save of the year as he threw a scoreless inning, striking out a batter. Kyle Lohse also received a no-decision as he pitched six and a third innings, giving up three runs, only two of which were earned, on six hits. Mitchell Boggs received his second blown save of the year as he pitched one and two-thirds innings, giving up a hit and a walk. Jason Motte (3-2, 2.70) took the lost as he went two innings, giving up two runs on two hits, as he struck out a batter. The Phils had nine hits in the ballgame, with Juan Pierre (Single, Double, RBI) and Cliff Lee (Singles) both leading the team with two hits apiece. Jimmy Rollins (Single, RBI), Hunter Pence (Home Run, 2 RBIs), Carlos Ruiz (Double), Placido Polanco (Single) and Freddy Galvis (Singel) had the other five Phils’ hits. The final Phil run scored on an error. The Phils also had a walk in the ballgame. 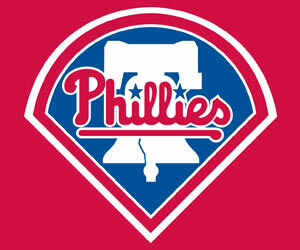 The Phils (24-23, 5th East) will continue their visit with the Cardinals (25-21, 2nd Central). The game will be played at Busch Stadium (III) and is to start at 7:15 pm EDT (6:15 pm CDT). The Phils will send to the mound Kyle Kendrick (0-4, 5.23), who is coming off a lost against the Nationals on May 21, as he went seven innings, giving up just two runs on six hits and two walks, while he struck out four, in the Phils’ 2-1 lost. He will be going for his first winning start, while trying to continue the Phils’ present winning streak. The Cards will counter with Jaime Garcia (3-2, 3.55), who is coming off a no-decision against the Padres on May 21, as he pitched seven innings, giving up two runs on seven hits and a walk, while he struck out seven, in the Cards’ 4-3 win. He will be trying to end the Phils’ present winning streak. The Phils will be out to increase their winning streak to four straight, while trying to win the four-game series.